Ingress is FingerTec’s most recently developed software for access control. At the early beginning, it showcases a number of access control options which can be used with FingerTec access control models. During the release of Ingress v2.2.0.0, we have included many time attendance options into the software. It may be frequently compared to our TCMS v2 software, but between softwares, Ingress wins in terms of function. You can find some of the highlights regarding to Ingress software at the paragraph below. We encourage current TCMS v2 users to shift to Ingress so that they can experience the benefits of this new software. In the future, for any new requests or customisation, it will only be exclusively included into Ingress software only. 1. The all-in-one and comprehensive UI. You will need to go into different pages to configure schedules, roster, leaves etc if you are using TCMS v2 software. Ingress software allows you to set all under same page. You can find the settings of clocking schedules, group duty roster, duty planner, holiday list, leave type, remark and data audit list in the panel bar. You can even view attendance records in the same window. 2. The settings of Clocking Schedules and the options. 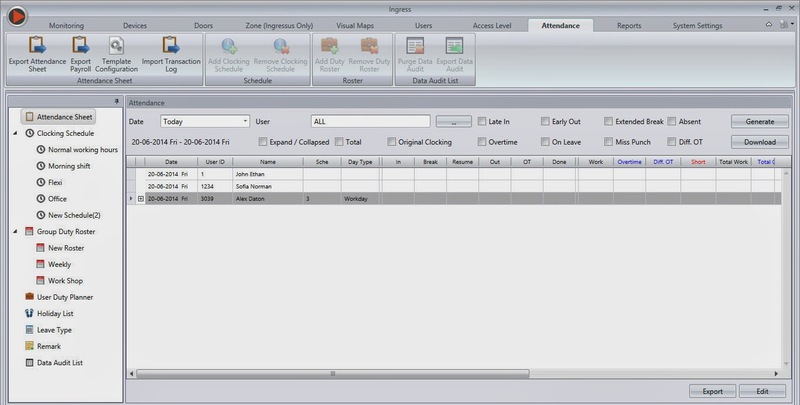 TCMS v2 carries many useful settings and options to process attendance calculations. It supports normal working time, overnight working, shifts, open schedule and even flexi working hours. In addition to that, we have also included a number of special requests from other countries into the software. This in turn have lead TCMS v2 to a faster growth beyond our expectations. The weekly schedule and its setup page. This is same as TCMS v2 UI and better organised. Every option from TCMS v2 are here in Ingress. The most complicated options for flexi schedule are migrated to Ingress too. 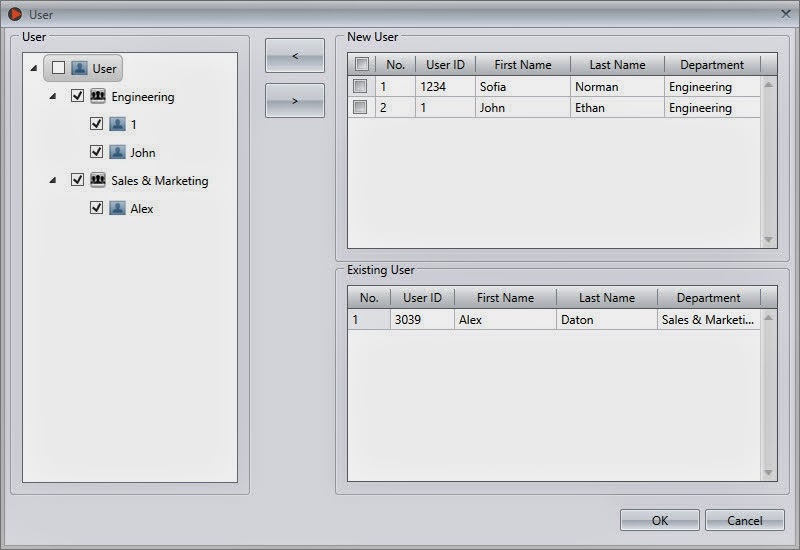 For users of TCMS v2 software, you will always need to go into Employee page to assign employees into group duty roster. Also, you would have to assign employees into their roster one-by-one making the process slow and time consuming. You don’t even have a page that you can view to see who is assigned under the same roster. Ingress offers you a more user-friendly interface and allows you to view employees in every roster. 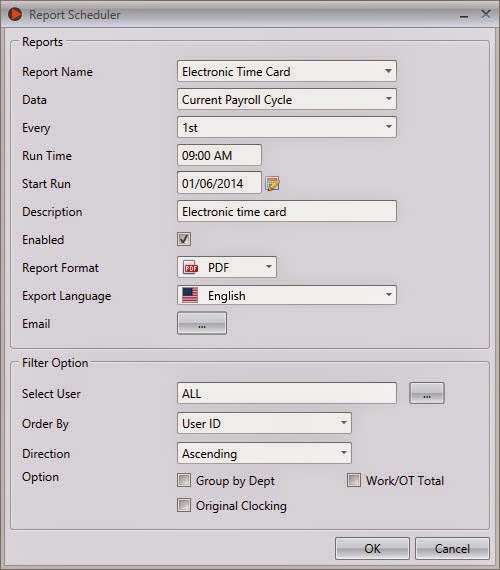 You can select multiple employees to be assigned under a group duty roster. TCMS v2 software exports attendance data into different format (TXT, XLS, VFP or ODBC) for payroll or 3rd party software to process. You can configure and arrange the required data fields to make it a template for exporting. The data can be categorised into day-by-day or summary records. The process is made even easier in Ingress as opposed to TCMS v2. You can use the same configuration to receive the same data files. The export UI is more comprehensive and well organised. TCMS v2 offers a wide range of reports to analyse attendance and staff movement. All of these reports are available in Ingress software. Sample reports are also integrated into the Ingress software to allow administrator to view them with ease before printing it out. TCMS v2 comes with the function to schedule and send reports automatically via SMTP email server. TCMS v2 software is a single user windows based application. It does not support multi administrators to login. In some cases, administrators share the software within network to allow other administrators to access its folder. This will cause the database to be corrupted easily. Ingress uses MySQL as its database and it is designed as server-client software. You can install Ingress into a server and multiple clients at different PC. Every administrator has an individual username and password to login to use the software. 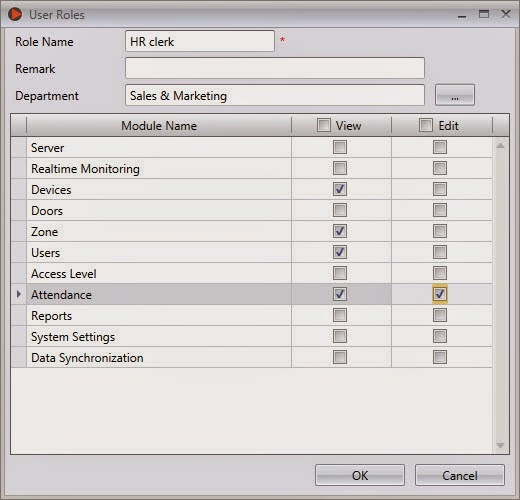 The super administrator can limit the access of every secondary administrator. For example, secondary administrators are allowed to view attendance only but do have the access to edit it etc. Thanks for sharing great information about Time Attendance Software. It's our pleasure. Make sure to contact us if you need any assistance. Thank you and have a nice day. When I upgraded to v3.0.1, it did not reflect the *image #6* above, which had the duty roster with the overtime only after 40/monthly. Has that option been removed? Or did I process the upgrade wrong? Please advise. Good day. For your information, currently, the Overtime Only After function is only available for clients from the United States of America. However, we will open this feature to all users in the next Ingress update. In the meantime, as a temporary solution, you can enable this function by going to System Settings > Company Info > Edit > Change country to "United States". Need some help on how to create report for late in and early out in ingress.